An affordable way to keep the sand only where you want it. So what is wooden sand fence? Our wooden sand fence is constructed of aspen and spruce wood lath fencing that is tied together with 13 gauge wire in order to bring incredible strength and a very long life to every roll of sand fence. There are many different uses available for wood sand fence, but the most obvious is that it is used to help control sand. 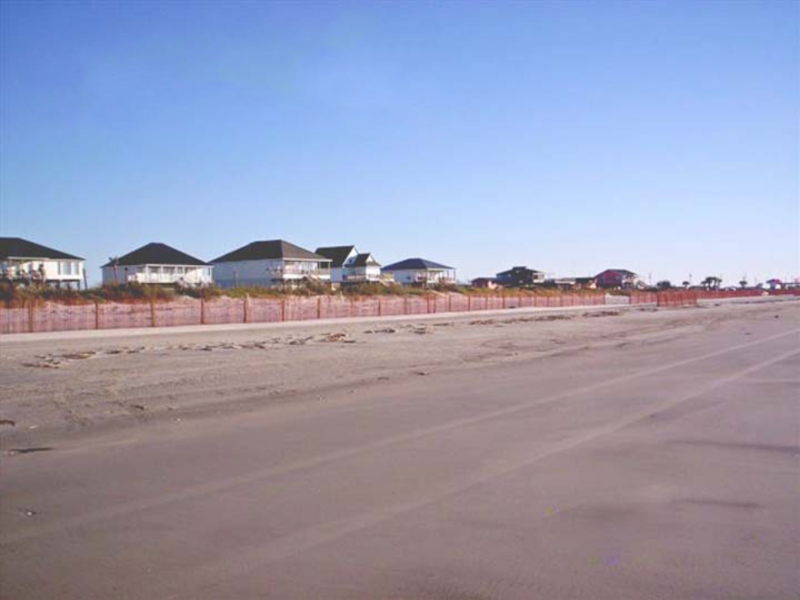 With wood sand fencing you can help keep sand out of places you don't want it, such as walk ways, construction zones, roads, runways or anywhere else sand isn't wanted. 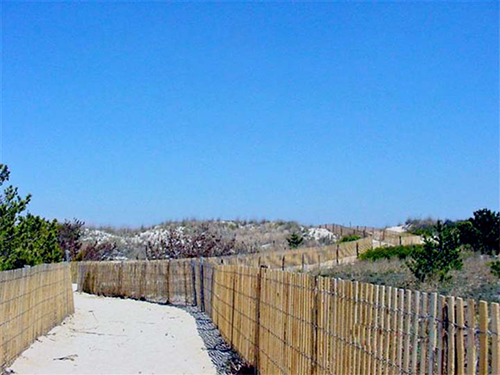 Our wood sand fence is perfect for beach preservation (erosion control), sand dune restoration, property beautification and landscaping enhancement. It works by causing sand to drift down wind of the sand fence, causing an eddy to form behind the fence when the wind passes over it. A well designed wood sand fence can both prevent sand from drifting where it isn't desired, and build up / retain sand where it's wanted. This is why you always see wooden sand fence at the beach. Keeping sand in control isn't the only use that our wooden sand fencing has. Another obvious use for our sand fencing is to use it as snow fencing. You can use the exact same fencing to help keep snow under control. It's used alongside highways to keep drivers safe, next to airport runways, down the edges of driveways, and many other places where you just don't want snow. 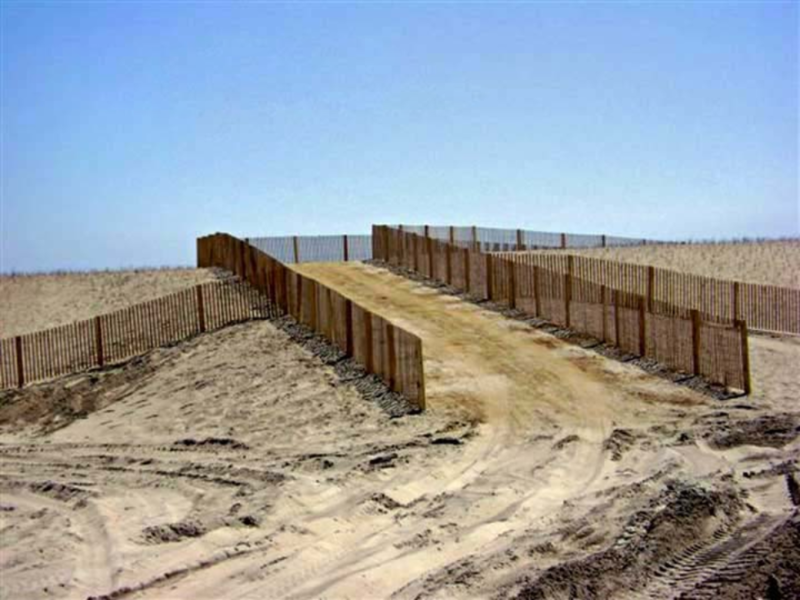 We have also seen it used for so many different applications and projects, that our sand fence can be used for just about any thing you could dream of. We've seen it used as crowd control fencing, construction fencing, dog fencing, and even many unique home projects such as for headboards or gardening. What else is wooden sand fence? In stock and ready to ship to you, our valued customers, at unbeatable prices. Our fencing is shipped worldwide every week all over the world. We've been in the industry for over 30 years and have never stopped striving to bring you our highest quality products at an affordable price. Take the first step to controlling your sand & snow, and contact us today!